Back to the Basics: Family...: Do Others See Him In Me? Do Others See Him In Me? Over the past several months something rather amusing has been happening whenever my mother and I are out together. 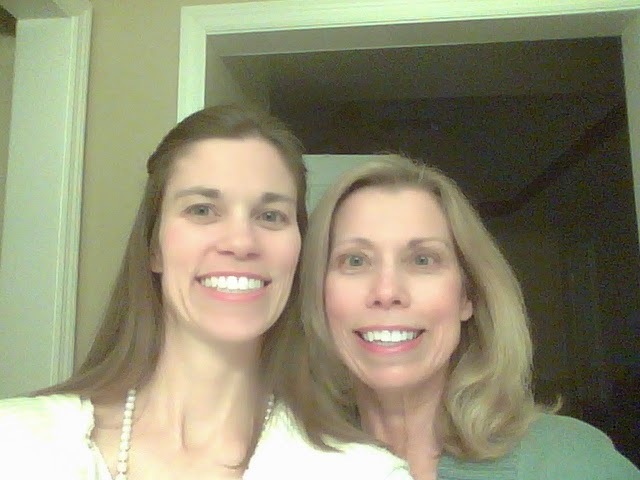 People are stopping us wherever we may be to ask if we are sisters. Just last weekend someone confused us for twins! Seriously though, the honor is all mine. I am proud that people see the resemblance in me of such an outstanding woman of God. Funny thing is, we don't even have to be together and people still ask us if we're sisters. I was at the eye doctor last week, the same eye doctor my mother goes to, and he saw her name down as who referred me to the office. He asked if we were sisters and paused quite awhile when I told him she was my mother. That was slightly awkward. After this incident, I began to reflect on the comparison of how others view my resemblance to my mother and any resemblance others might see between me and Christ. When I walk into a store, can people see my close relationship between me and my Lord? When they watch me on the street, in the park with my children, in the waiting room at the doctor's office,... waiting in line at the grocery store, do they see Him in me? When I'm listening to a friend's heart, when I'm posting on Facebook, when I'm sitting at a red light in traffic, can strangers see Christ? In Galatians 2:20 Paul writes, “I am crucified with Christ; and it is no longer I who live, but it is Christ who lives in me." My prayer, my desire, is that when people see me, they do not see the characteristics of me or the titles I hold, but they will be able to see Christ clearly living in me. I used to simply pray, "Lord, help me to be more like you. Show me your ways." But this week, my eyes have been opened as I heard the Lord gently encourage me to strive for more. Each night as I put my children in bed, I say a special prayer over them. It is something I have done for as long as I can remember. A dear friend gave me some encouraging words at one point while my children were very young and I was a weary mother. Several years ago, the Lord gave me more to pray over my children, including a boldness to follow after His will. This week I have included myself in the prayer for boldness.